By a wonderful synchronicity, I was holding satsangs in Stockton, CA when Amma the Hugging Saint visited Her ashram in Castro Valley. Diane, a lady who had hosted one of my satsangs near Oakland, allowed me to stay at her apartment, so I could conveniently attend the public program and retreat. The first day, I arrived at the temple late, and the seats were filled. I filed into a line and sat on the floor. Suddenly, people on the floor were guided up onto stage to sit near Amma. I was surprised to find myself only about 15 feet away, basking in the powerful Shakti of Her Presence. How did it happen? Later on, I obtained a token to receive a hug also known as a darshan. Each day, I found myself doing different service tasks. These times were the most fun because I felt like I was really supporting the event. I washed dishes, served out food, cut vegetables, carried heavy things, and guarded the door at the temple. During seva, it was an opportunity to interact with others and make friends. One morning, I arrived early to hear the Swami, and they told me to turn around and go fill up my van with people from the hotel before I was allowed to park. This was unexpected and rather disappointing. Every morning after that, I waited in line at the nearby hotel to create my carpool. The last night, there were long lines to get a darshan token. Thousands of people waited hours to finally enter the temple. Almost half of the main hall was filled before I entered. A woman came up to me and two women, and she asked if we would like to sit closer to the front. Immediately we followed and were led to the second row. After a while, the whole temple was filled, and people were led into the dining hall building where they could see her by television. Then suddenly we were moved into the very center of the row where we sat in a "reserved" chair only a few feet away from Amma. The program began. It was rare to receive a seat so near the Great Guru. The Energy was thick and powerful. The tall Swami guided a meditation, breathing in Om, breathing out Ma. They distributed the small plastic containers of holy water. After receiving a hug that night, I shuttled people up and down the muddy road between the temple and parking lot, and then headed back "home" to Stockton. During the Amma retreat, I had been hard on myself for not serving enough, so this was a time to learn compassion. The mind has certain ideas about how to be a good person which is not easy to live up to. I was letting go of the this harshness through the healing Grace of Amma. Thank you, Amma! My good friend invited me to stay at Joy's health clinic in a town north of San Francisco. Two nights in a row, they invited me to visit their home for dinner and a chant. Joy's parents lived there too. The first night, we chanted together, laughed together, and connected to the Energy while the parents stayed in their room. The second night, we chanted the Hare Krishna mantra with the harmonium while Joy's daughter played her ukelele. It sounded beautiful and felt blissful. Suddenly the father came into the room and began to yell about the noise, directing his anger primarily at me. He shouted in Chinese, stating that they couldn't sleep. I didn't understand the words he was saying. Furthermore, my mind was flooded with such a happy energy that all I could do was gaze at him with a broad smile on my face. It appeared to be a divine play. Then he left, and I told everyone that it was time to go back to the clinic. We finished our music at the clinic, and then everyone went to bed. For the first time, I discovered that it was possible to remain happy even in the face of someone's powerful anger. It was also fascinating to see that no one came to my defense during this attack. I faced the confrontation alone. It was my opportunity to meet a challenge that rarely happened to me. How can one remain completely at peace at all times? It is easy to remain peaceful when everyone is nice. But the true buddha is one who is unaffected by any attack, no matter how strong. After sitting in a cave and meditating all day, one must be in the world and meet worldly situations. That is the school of life. That is the test of one's enlightenment. Yes, I am grateful for this confrontational situation and for the people who played their part. It was no one's fault. It was the creation of a perfect storm. This year, the Sanctuary for Peace has been established in Ojai, CA by Svami Purna for the upliftment of all beings on this planet - perhaps the most important happening of our time. It is a holy land infused with the divine power. A few months ago, Svami Purna blessed the land with a satsang, chanting "Namah Shivaya Namah Shivaya Namah Shivaya Namo Namaha." This mantra invokes the power of Shiva, God of Transformation, to sanctify the area. With moist eyes, Swamiji was clearly moved by this momentous occasion - a moment He had been waiting for - to help bring humankind to the Light. 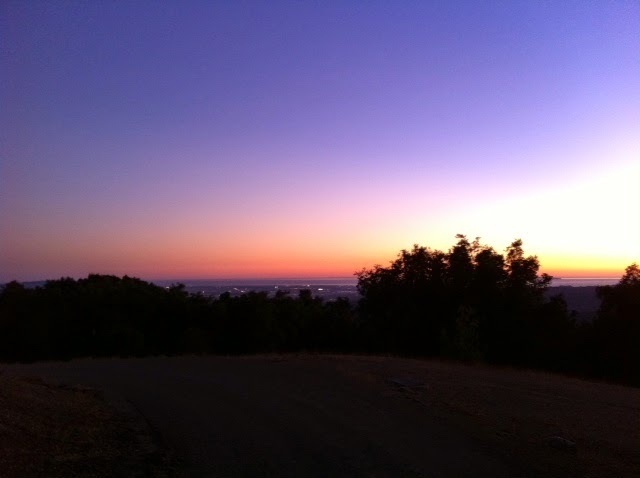 A month ago, I drove down from Stockton, CA to the Sanctuary to join the first Full Moon satsang. It was a 6 hour drive. The monthly Full Moon gatherings are designed for seekers who wish to connect to the spiritual Moon, a symbol of the enlightened mind. It is a powerful time to do spiritual practices. The Sun symbolizes the Sat Guru. Just as the Sun lights up the full moon, the Sat Guru empowers the spiritual seeker with His Grace. Svami Purna's retreats will be held at the Sanctuary for Peace. Like the days of yore in India, people will gather around the Master and bask in the Spiritual Energy under the open sky - a beautiful reconnection to Mother Nature. This Sanctuary is a Beacon of Light for the world, a place where the Golden Age flourishes. 25% of the donations I receive from satsangs and individual healings go to support the Sanctuary for Peace. May we work together in peace and harmony. May we cultivate love in all our actions and thoughts. May we seek the Light with our entire being. Svami Purna suggested I teach yoga asana. Although I had taken many yoga classes, I did not enjoy them enough to practice consistently or seek them out. Finally I took His advice and attended a 16 day Yoga Teacher Training course through Gilbert Yoga in the forest of Arizona. Day after day, I enjoyed it more. Suddenly, I realized yoga asanas would be a life-long practice. It was a powerful movement meditation that cultivated energy in the body. Very helpful for increasing meditation and mindfulness. Body became firm and flexible. I felt anxious about two things during the yoga teacher training. First of all, my mind had decided that it would be difficult to lead a yoga asana course. Perhaps I would stumble because there were so many details to keep track of - alignment, descriptions of the movements, adjusting students, breathing. I lacked confidence which led to nervousness. But when I led the last class for a group of people I did not know, it was easy and flowing. My mind relaxed: "I can do it. It is easier than I expected." With this new-found confidence, I was very excited to lead classes. My mind had turned a corner. I felt anxious when one of the women in the class ignored me the majority of the time. She did not want to look me in the eye or talk in friendship. Indeed, it seemed she would often avoid me and then bond with the others. So I tried to be friendly. It did not work. I had hoped she would like me. By the end of the training, I cared less and less whether she gave me any attention at all. I looked at my own insecurity. Always concerned about whether a person liked me. Worried about whether I had done something wrong. Had I done something wrong? Was it necessary that everyone like me? Perhaps it was easier to be myself. It takes a lot of energy to be the "nice guy." So as I began to detach, she paid some attention to me, and I was surprised! Almost every day, I practice asana. It has invigorated my life and allowed me to share another aspect of the spiritual path. My intention for yoga class is that each student connects to the Energy of Svamiji, the Grace that uplifts and inspires. Recently I held a satsang at Unity Church in Stockton, CA where about a dozen people joined in communion. One young girl sat right in front of me on the floor and listened very intently. For some reason, I felt a powerful joy flowing through my being, and so, joy became the theme of the gathering. In Sanskrit, the word is "sukam." In one of the meditations, I suggested that everyone remember a time when they felt great joy. We visualized it and brought back the feeling of that moment in time. Then I asked if anyone wanted to share their memory. The girl in front raised her hand and said, "When my mom and dad got back together." Her parents were there, beaming. I closed my eyes, feeling deeply moved. "What she says is very symbolic," I said. In many spiritual and religious traditions, God is defined by the Mother and Father, the husband and wife. One side of God cannot exist without the other. According to Christ, he represents the Father/Mother. According to Vedic tradition and Hinduism, Shiva and Shakti or Purusha and Prakriti are the two aspects of God. The Father principle is that inconceivable aspect that witnesses creation while the Mother principle is creation itself. It is usually easier to worship the Mother since she is associated with form. The Father is above and beyond the mind, the expression of non-duality. As the Mother and Father come together as One, we realize the Supreme Being, the One God. This idea is very philosophical since we cannot comprehend It. Only when we realize It can we Know. Yet this small girl innocently stated perhaps the most profound realization in the universe. When Mother and Father join, True Joy dawns, and we return to our Source. I, too, am happy that her mom and dad got back together! Swamiji said that the darkness cannot exist without the Light. In other words, darkness is just another shade of the Light. This idea shatters every conception of the mind. My mind seems to be addicted to competition, comparison and judgment. It wants to feel higher than others...more powerful...needed by others. This feeling is filling a void of worthlessness and insecurity. Because of this desire for being higher than others, I cannot fully enjoy the Love that is the very nature of the Light. The Light is behind all of creation and yet the mind chooses to believe that it needs to get more Love. It chooses to feel empty. It is amazing to note that I got interested in spirituality because of Dr. David Hawkins' book, Power versus Force. He says that one can measure the consciousness of anything through a scale of 1 to 1000. This scale appealed to my competitive drive, and I was interested in reaching 1000, the height at which Jesus had reached. So my competitive aspect created a momentum that pushed me towards intense spiritual practices, striving, and renunciation. Therefore, I hold deep gratitude for this part of myself. It has been a good friend because it has tried its best to serve me. Now this competitive part is rather painful because it is pushing forward and worrying about not getting enough Grace and not understanding why to let go. The Light exists everywhere. Therefore, we are swimming in the Grace all the time. We are always in satsang. There is no lack of Light, no need to get more or be afraid that there is not enough. Who am I competing against? What am I striving for? And how can I be worthless when the very nature of my being is Light. So by sharing with others, I am opening myself to clearer states of realization of that Light. And when the world is filled with deeper realization, everyone thrives. Besides, it would be quite lonely, standing at the top of a mountain, witnessing a lovely view, with no one to share it with. I am making a conscientious effort to see how beautiful everyone and everything is. The One Light has a powerful ability to show up as so many characters in the Divine Play. As I see the beauty everywhere, my mind is softened, judgments fall away, and I begin to share. Love flows through my heart like a river. There is only the Light. 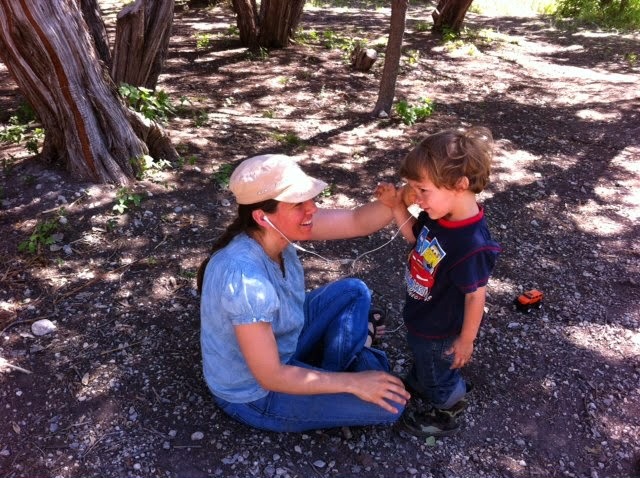 Recently I received a call from Dana who wanted to support the Wander for Truth cause while I stayed in San Luis Obispo. He offered me a private room at his community complex, connected to a large kitchen and lounge room. When I arrived, he had left a bowl of fruit, bottles of coconut water, and a potted plant to welcome me. Almost every morning, we chanted together and then he treated me to breakfast. Sometimes he would juice fresh organic vegetables and share the drink with both me and his neighbor who had had a difficult operation recently. One morning, we sat together by the Rock at Morro Bay and chanted 108 mantras for the Ocean and all the beings in it. A seagull alighted on a bolder behind us and listened to the sound of the holy name. Sunlight sparkled on the waves. The Ocean calmly held all of these waves. It was a clear symbol of Swamiji. Dana coordinated a special satsang at the community building and invited everyone in the co-housing complex. That night, I expressed stories about the Buddha, and we chanted mantras connected to the Buddha's energy. A beautiful stillness opened in the space of the gathering. Buddha had come. Later on, I discovered that many of the attendees were practicing Buddhism - a lovely synchronicity. Dana and I parted in friendship...in brotherhood...in devotion. I visited my family in Los Angeles area and had a dinner with them to celebrate my father's birthday. I sat next to my sister's boyfriend, Roger, at the table, and he began to engage conversation with me. After a time, he said, "How do you feel in conversation outside of your spiritual circles?" I said, "I hadn't thought about it too much. I am quite animated with people who talk about spirituality. Why do you ask?" He said, "Well, now you seem disconnected and awkward." I said, "Yes, I suppose I often feel that way." The next day, I explored the feeling. My mind had invented the idea of spiritual talk versus worldly talk. I was afraid of engaging in worldly talk for many reasons. I didn't want to be dragged down into mundane matters. I felt like my state would fall if I engaged in such talk. I looked down on people who did not focus on God all the time. So to protect myself, I withdrew into the Shiva state - a sort of meditative detached state of being. Mixed in this state were feelings of insecurity and indifference. I did not know what to talk about with people and I didn't care much for worldly conversations. One of my intentions is to develop love toward everyone and everything. The withdrawal state is not in alignment with this intention. In fact, this withdrawal can be full of arrogance and coldness. During a walk, I prayed to Swamiji, "Please assist me in letting go of this pattern. Please show me the way of friendliness." I started to notice that my mind had separated the world into darkness and light. It was running away from darkness and clinging to the light. Perhaps the Light is behind all of manifestation, and the mind cannot see It. Imagine I want to live in a "dark" part of town and serve the inhabitants. How can I serve if my mind looks down on them or is afraid of being negatively influenced? How can I love everyone when I am withdrawing from the world or always protecting myself? I choose love. As my heart started to open, I began to thank Swamiji profusely. A voice in my mind said, "Thank yourself." And I said, "Thank you, Brian. You are facing the darkness in yourself. You are brave." And I said it again, "Brian, you are brave." Tears welled in my eyes. "You are brave." At home, I greeted my father warmly. "How was your work today?" He was excited to talk. I was excited to engage. The barriers were falling. A new life had dawned. I arrived at Stanlee's home in Oxnard, CA to hold a satsang. She had already stood out as an unusual person. I had asked her if she knew anyone who would be interested in hosting satsang, and she sent me a list of 30 people to connect with. She had created her own Facebook event to invite people to the satsang. She had also invited me to stay in the front house for an extended period of time. Inside, there was a platter of fruit and other prasad for the guests. Once Stanlee had bought the CD, Songs for Swamiji, which I had recorded 2 months ago, she was playing it in her cottage every day all day. The Energy was growing in her space. Every time I walked inside, my mind went into a meditative state. And we were doing meditations most evenings, listening to Swamiji. One day, she said to me, "I want to go with you." Well, this statement illustrates what Stanlee stands for in this world: a servant of Truth. I replied, "I travel alone." She also connected with Brian and Isha satsang and added many more spiritual practices to her daily life. She has a sign right by her bed that says, "I am not the body. I am not the mind. I am infinite consciousness." At night, she would often bring dinner for both of us - food made with love. Every week, we were holding satsangs at her home. One day, I held a twelve hour chant of the Hare Krishna mantra to spread Love to humanity. People went in and out of the home, listening to the music and connecting to the Energy. Most people stayed for an hour and left. One group arrived, stayed for a few minutes, and then walked out. Stanlee kept chanting and greeting people as they arrived, ready to serve tea to the visitors. For a little while, I wondered if my body would need to drink or go to the bathroom. But miraculously, there was no need for these things. Many people joined online for the chant and left comments of support. Thank you for all your prayers. Thank you, Krishna, the Divine Lord. Thank you to Swamiji, the Supreme Being. Arriving in San Diego, I held a series of satsangs in different venues, sleeping at night in the van at a Walmart parking lot. Yes, Walmart has been good to me! The weather was quite cool, so cool that one night, I found a hotel room to enjoy the warmth. Then I met Deep, a young fellow who created meditation music and played the Tibetan Singing Bowls. He allowed me to sleep on his couch for a few days. One day, I joined his Tibetan Bowl meditation in Encinitas in the evening. It was very healing and relaxing. At the end, he kindly asked me to announce my satsang event to the group. In that gathering, I gave my card to several interested people, including a man who did not have a home. A few days later, I held a gathering in Escondido. He called me that day to get directions since he was traveling by bus. A few minutes into the satsang, he sat down and was immediately engrossed in concentration and meditation. After an engaging gathering, I packed up my things and received the donations. Ah, almost enough to cover the marketing costs of the satsang! I smiled. I overheard the man asking his friend about getting a ride back to his abode. The ride was full. I offered a seat in my van. "Are you sure it's on your way?" he asked. "That's not an issue," I replied. "I'll take you wherever you need to go." So he piled his belongings into the van. They consisted of a roller with a big box and suitcase on top. On the way back, he was excited to tell me about his life - about the spiritual people he had met and the spiritual events he had attended. "The most important thing in life," he said, "is Prem. It means divine love. With that Prem in your heart, life will always be good." I smiled and gave him some bananas I had just bought at the store that day. After a 20 minute drive, he asked me to stop on the side of the road next to a hilly area. I carried some of his belongings through an opening in the fence, and we climbed up to the hill and arrived at a secluded area overlooking the distant town. The brushy place was lit by the light of the moon and the stars. He had 2 tents, one for his belongings and the other for his bed. I stood there, shivering in the cold as he continued to tell me his life story. A few months ago, a drunk man had come to his camp and beat him until his arm had broken. There was bunch of broken bottle glass on the ground which he had spent days carefully picking up to keep the area clean. In that moment, I felt the money in my pocket. A couple days later, I joined Deep in his morning ritual, honoring the different Gods, Goddesses, and bodhisattvas with prayer, mantra, incense, and bell sounds. What an honor to share this holy ritual with him. Indeed, Deep is a rare bodhisattva, tirelessly serving humanity with his non-profit organization and meditations. As I departed, he gave me a Tibetan Singing Bowl and wished me well on my journey. Thank you, Deep. After the satsang at Unity of Chandler, a woman approached me to express her appreciation for the satsang. Her name was Amber, and she had written in her e-mail, "We have space and lots of love to share." She was going to take me to her home. Arriving at a beautiful house in Scottsdale, AZ, we were greeted by two beautiful dogs who had so much love to give. Both Josh, her son, and Brian, her husband, welcomed me home. I settled in a comfortable room that night, blessed by an energy vortex in the center of the space. It had a nice energy indeed. The next day, I learned that Amber was a channel for Beings of Light. Would I like to speak with my spirit guides? Yes, okay. And so, a couple of guides spoke to me and assisted in the process of clearing my throat chakra. I could feel them quite clearly. Then Christ came into my awareness...and Mother Mary... I felt myself to be a little boy holding their hands, swinging between them. It was a deep sense of safety and happiness. I was not aware of the trials of the world anymore. Would I like to speak with my twin flame? I had a bit of trepidation around this question. I was not interested in a normal relationship. Amber described a twin flame. Someone who brings us to greater heights of love and consciousness. We merge with this being, and through a soul connection, our mutual Light is empowered. Like two flames coming together as one brighter flame. As the energy of my twin flame came into the room, my eyes filled with tears. Amber handed me a stone that was blessed with the energy of this being. Her name was Darhmoura. Darhmoura began to speak through Amber. It seems that Darhmoura had been waiting for this moment for a long time to be reunited with me. She wanted Amber to leave the room, so we could be alone. So Amber walked out and I began to have a conversation with Darhmoura. Her words just came to my mind naturally, and for a half hour, we connected deeply, consciously. I felt my heart melt in her presence, and I was deeply moved by the feeling of love that filled my being. After sitting in meditation for a while, I came back to the room and was wonderstruck. Amber and I chanted together a mantra of Love for all of creation. Many beings of Light joined with us to send this energy to the ends of eternity. May Swamiji's Grace fill the hearts of all beings and light the way to this ocean of Love. Ma invited me to stay at her home, the Bhakti Shakti House, in Phoenix, AZ along with Mika and her 2 children. As I entered the home in the evening, I embraced Ma and Mika and then went into the kitchen area where the 2 kids were enjoying time with Nityanando. The kids did not much heed to my entrance, and I began to feel the awkwardness. Somehow I wanted acknowledgement and attention from those kids, thinking to myself, "I'm good with children." Well, for 3 weeks, I did not get what I wanted even though I tried. I played Candyland, I complimented them, I brought them food, I cleaned up for them. Finally, one day, I really just gave up. After I had helped set up a surprise birthday for one of the girls, I stood by lake, feeding the ducks. Then both girls started to talk to me enthusiastically about the ducks. All of us began to throw popcorn and chunks of bread into the water, and soon, a flock of them had gathered to feast. I found that the more I gave up on wanting attention and acknowledgement, the more space I gave for others to approach in a natural and flowing way. I learned that it is ok to feel awkward around people. I had a planned a satsang at the Unity of Chandler nearby. The day before the event, I went to the church to attend the Sunday service. I didn't know anyone. Andrea asked to come up before the congregation to announce the event, and I happily did so. After the service, she said, "Now why don't you go and mingle with everyone and invite people to the gathering tomorrow." My first urge was to head for the door. The last thing I wanted to do was mingle. I had felt enough awkwardness just adjusting to all the people in the Bhakti Shakti House. But instead of running away, I walked out into the middle of the church with a feeling of helplessness. There were little groups of people talking amongst themselves who seemed to know each other well. Then I smiled at man and came up to him. "My name is Brian." In a couple of minutes, he had invited me to the Hare Krishna Temple for lunch. I had been looking for a temple in the area. Then, mustering up the courage, I broke into another little conversation between two women and introduced myself. The initial awkwardness fell away as I began to relax into a lively conversation. At first, they seemed awkward and then glad I had come to speak with them. And they wanted to come to the satsang. More and more, my mind and emotions are learning that there is nothing to fear. And there is nothing wrong about appearing awkward and embarrassed. Let me breathe into the fear and allow it to be as it is. Each day, it falls away more and more, and my inner state becomes more peaceful around people. And so others may feel this peace too. In Austin, my friend, Jordan, invited me to visit Dave, a man who had renounced the world to live a spiritual life in the forest. I did not want to visit because I was feeling lazy. What did I have to learn from this hermit in the woods? But something was telling me to go. So we drove 45 minutes out of Austin into a remote area and entered a long dirt driveway where we stepped out of the van and met Dave. He appeared to be in his 70's, long hair and beard, thin, dressed in a T-shirt and shorts. Very calm demeanor. He drove us in his truck onto the wooded property and found ourselves at a lake. He had erected a few tents by the lake - one of them for his spiritual books (his library), one of them for supplies, and one of them for his home. He had also planted a fine garden. We sat on chairs on a deck on the edge of the lake, and he served us both a hot cup of tea. Then he began to tell the story of Ricky. For many years, Dave had been going to the nearby prison to talk to the prisoners about spirituality. He did not get paid for these gatherings. He went as a service to the prisoners. He went as a service to God. Every week, he met with a group of eight men who were quite interested in learning about spirituality. Ricky was one of those men. Where ever Ricky went, he would tell the other prisoners about Dave's meetings. Soon there was a waiting list just to get into the class. One time, the group chanted the Hare Krishna mantra for 45 minutes, and after everyone had stopped, Ricky kept going for a few minutes longer. Ricky helped out around the prison, and one lady heard his voice. She asked him to sing at the weekly service in front of the other men. He agreed and sang with a lovely voice. He sang about God. People were very impressed with his voice, but Ricky never said a word about his talent. It did not seem to cross his mind. He lived in a different world beyond the normal man.